I’ve been getting facials for years and recently moved to downtown for work. I didn’t want to drive to Leawood anymore so I gave Studio 39 a try.I was blown away! Bridget gave me the BEST facial I’ve ever had. I see her regularly now for arm and Brazilian waxing. I love her and the salon! 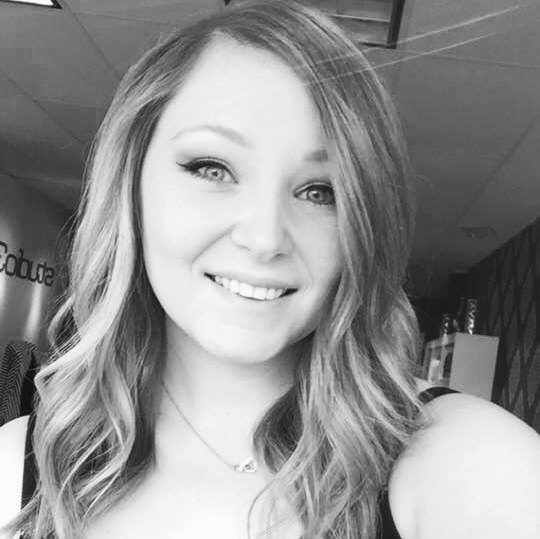 Bridget is Emily’s younger sister and began her journey with Studio 39 in the spring of 2015. Liker her older sister, she is outgoing and has a strong work ethic. She is great at customer service and was excited to immerse herself in the world of beauty. She was originally hired as part of our lobby support team while she was in esthetics school. Her charming personality makes her stand out! This former Glee Club Girl is a great communicator, and her sincerity immediately endears her to salon visitors. Her attention to detail show in her amazing facials. Many of the staff are skincare connoisseurs, and all agree Bridget is the best! She exudes great talent and professionalism in her dedication to care in wellness services. She enjoys educating salon guests about skin care while providing a pampering experience. She takes every precaution with safety and gives quick and almost pain free Brazilian waxes. She can sculpt even the most unruly brows and is extremely educated in multiple skincare techniques with Bioelements skincare and chemical peels. She wants to help reveal the best version of YOU! This valued team member is highly praised by salon guests on her professional disposition and passion for delivering the best results. Outside the salon Bridget enjoys broadway, theater, spending time with her fur children and her boyfriend Donovan.